More Today Than Yesterday | Wedding Wisdom, Etc. 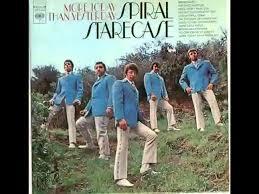 “I Love You More Today Than Yesterday” by The Spiral Staircase may be the greatest “one-hit wonder” ever written. The opening horns are instantly recognizable and the simple lyric “I love you more today than yesterday, but not as much as tomorrow,” is about as simple and perfect a lyric as you’ll ever find for a First Dance. Plus, it’s a lot more fun and creative choice than yet another Van Morrison ballad.